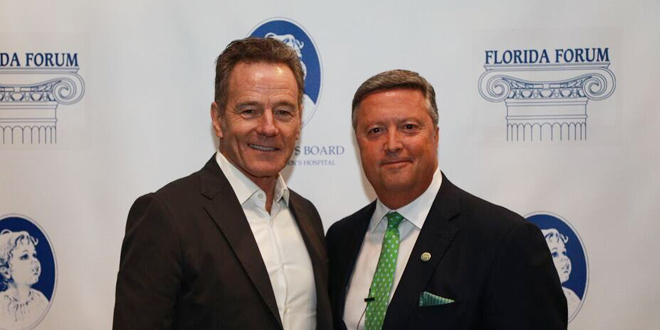 Emmy, Golden Globe, and Tony awards winner and Academy Award nominee Bryan Cranston took the Florida Forum stage Jan. 28 and Jacksonville University (JU) President Tim Cost was at his side. The enthusiastic, jam-packed crowd gathered to support Wolfson Children’s Hospital. The much anticipated event was part of a series established by The Women’s Board of Wolfson Children’s. The Forum adds to the collective dialogue of Jacksonville and made more than $31 million in hospital contributions to date. Supporting one of the best children’s specialty hospitals in the U.S., Cost said, is what makes his role in the series so rewarding. Cranston’s visit became part of nearly three decades of top speakers, and he wasn’t the first to sit across the table from Cost. In January 2018, Theo Epstein sat in that chair. Cost bantered with the Chicago Cubs executive as if a thousand people weren’t watching. Epstein and Cost talked of baseball, relationships, leadership, and life. Cranston and Cost covered everything from work ethic and hemorrhoid commercials to “survival jobs” and finding the emotional core of a character. Cranston stepped into the Florida Times-Union Performing Arts Center to meet with Cost after a tour of the hospital. “Life is reciprocal,” Cranston later told Forum attendees. “Everything good that comes in, you’ve gotta send it right back out.” This came from the man who made his acting debut at eight years old in a United Way commercial and raised millions for charities over the years. Cranston’s tour included a stop at the neonatal intensive care unit where new fundraising efforts will focus. Jacksonville University Keigwin School of Nursing students are among the friendly faces at Wolfson Children’s. They have become an integral part of the work there. Hundreds and hundreds of JU graduates have completed clinicals, served as volunteers, preceptors, mentors, and many have joined Baptist Health. Cost—as a university president constantly amazed and moved by students—touts their accomplishments often. For more than five years, his leadership team has worked nonstop to establish JU as the premier health educator in the region. 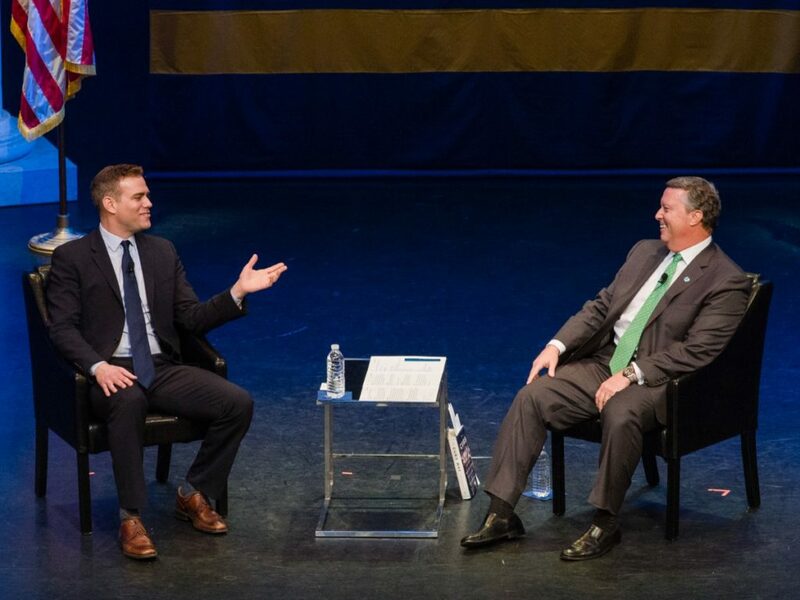 When Florida Blue CEO Pat Geraghty introduced Cost as moderator, the resulting cheers showed JU Dolphins were “in the house.” Cranston fans weren’t shy either. The applause thundered as the award-winning actor took the stage. The 40-minute conversation clipped along, interrupted only by laughter and applause. Cost asked about character-building techniques, handling life in the spotlight, transitioning from screen to stage, and Cranston’s book A Life in Parts. 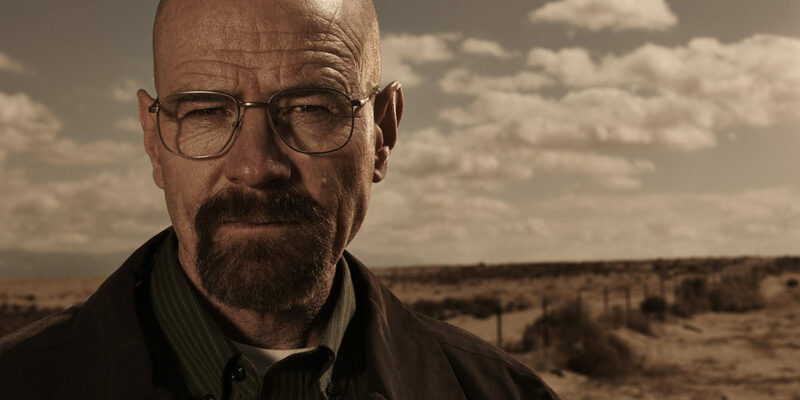 Cranston touched on his relationship with Breaking Bad writer-creator Vince Gilligan, joked about his soap opera days, and impersonated Larry David and Bernie Sanders. He also discussed what he calls “the funnel.” Everything he reads, watches, and researches pours into the making of his characters—LBJ, Hal, Buzz Aldrin, Li, Vince, Dalton Trumbo, Joe Brody, Tony Drake, Mr. Jamieson, and the list goes on. The Cranston name has been embedded in the entertainment industry since the 1950s. That heritage includes his wife and daughter, both actresses. Breaking Bad’s Aaron Paul and Malcolm’s Frankie Muniz have referred to Cranston as a mentor and the perfect movie dad. In creating his most iconic role, Cranston modeled Walter White through the lens of his own childhood experiences. He told Cost that his connection to Breaking Bad grew from a brief stint on X-Files and what he described as his “attraction to damaged characters.” He described his first impressions of the role. “I saw and felt the humanity of Walter, and I knew this could be great. Of course no one realized how it would catch on.” The chemistry-teacher-turned-criminal-badass reflects the moral dilemmas Cranston said represent “the every man.” This inspired his yes to AMC executives.